Rev. Alvin Hathaway Sr.’s vision for redeveloping the McCulloh Homes includes 670 affordable apartments, 830 market-rate and “workforce” units, and 184,988 square feet of commercial space. 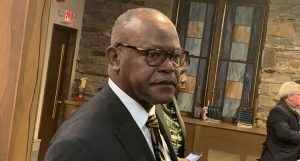 Hathaway, the senior pastor at Union Baptist Church, shared preliminary plans for the development in an email to a reporter. The development team behind Hathaway’s plan currently consists of Beloved Community Services Corp., UrbanAmerica, and SCG Development. “The whole idea is to make sure we have a community where you can live, work, play, learn, and worship. But also a community where there’s economic opportunity, there’s commercial activity, there’s the kind of life that will really be a destination for people who want to come, really, to a transit-oriented development, but also a mix of income,” Hathaway said last week after a ceremony celebrating the completion of a $78 million renovation of the former McCulloh Homes Extension apartments into the City View at McCulloh. The number of affordable residential quarters proposed replaces unit-for-unit the number of apartments currently at McCulloh Homes. Additionally the redevelopment proposal includes 116 new for-sale townhomes, 50,000 square feet of community/recreation space, and 2,079 parking spots. Earlier this month, Hathaway told a gathering of state leaders including Gov. Larry Hogan, and Comptroller Peter Franchot that he has secured $300 million in financing for the project. The redevelopment of the McCulloh Homes is expected to coincide with Maryland’s redevelopment of the nearby State Center office complex. 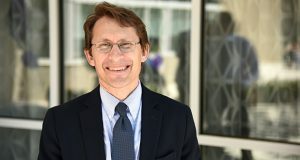 Michael Braverman, director of Baltimore’s Department of Housing and Community Development, confirmed this fall the city wants to package a redevelopment of McCulloh Homes with new development at State Center. At the same time, the State Center portion of the project remains the major hurdle to any new building. The state and developer State Center LLC remain locked in a contentious court case. The Hogan administration sued State Center LLC to prevent the developer from seeking damages after Maryland’s spending board voted in late 2016 to terminate state leases for the proposed $1.5 billion overhaul of the dilapidated state office complex. The governor has also sought expression of interests from new builders. In turn, State Center LLC filed a counter suit seeking damages after spending roughly $26 million pursuing the project after being selected by former Gov. Robert L. Ehrlich Jr.’s administration in 2005 as the master developer.